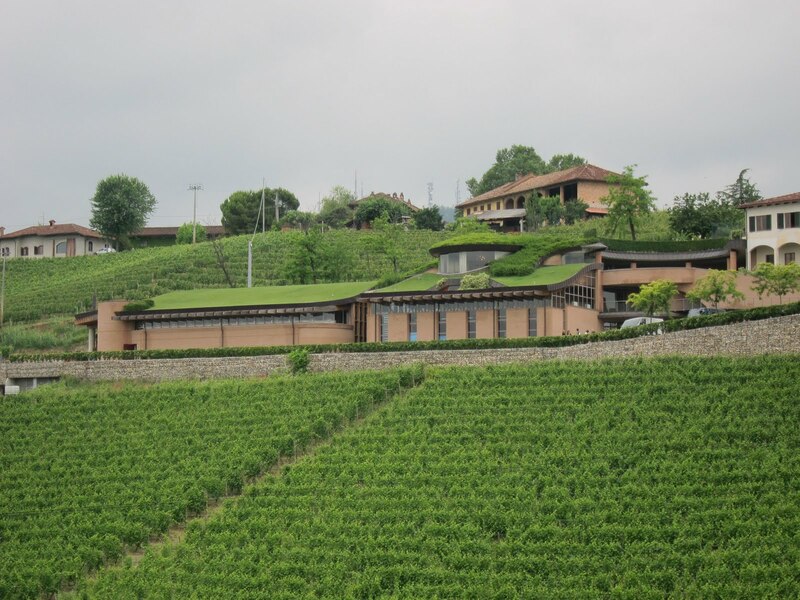 Fast forward two decades to the mid-1980s, and Renato Ratti, the upstart without tradition, had become head of the Barolo Association. He was one of the most respected producers in the region. His son Pietro assumed he take over the winery one day, so he went to wine school in nearby Alba. "My father wanted me to go to (UC) Davis," he says. Pietro Ratti turned 20 in 1988 and assumed he still had time to spend learning from his father. But he didn't. Renato died and, with no other family members ready to take over, Pietro was suddenly in charge. He never did make it to Davis. "The good thing is, when you start young, it takes time, but you get experience," he said. "The only problem is, making wine and growing grapes is something where you need to be patient. When you're young, it's difficult to be patient." Pietro built this winery with a "green" roof, against Barolo's rules at the time. Whereas Renato had taught the locals some things with his new ideas about vinification -- and marketing -- Pietro had to do more listening. "Winemaking is something you learn," he says. "To learn to grow grapes, it takes generations." Soon he would have to learn the hard way, ironically because of his father. For centuries Barolo grapegrowers sold their fruit to large producers who bottled it all together. 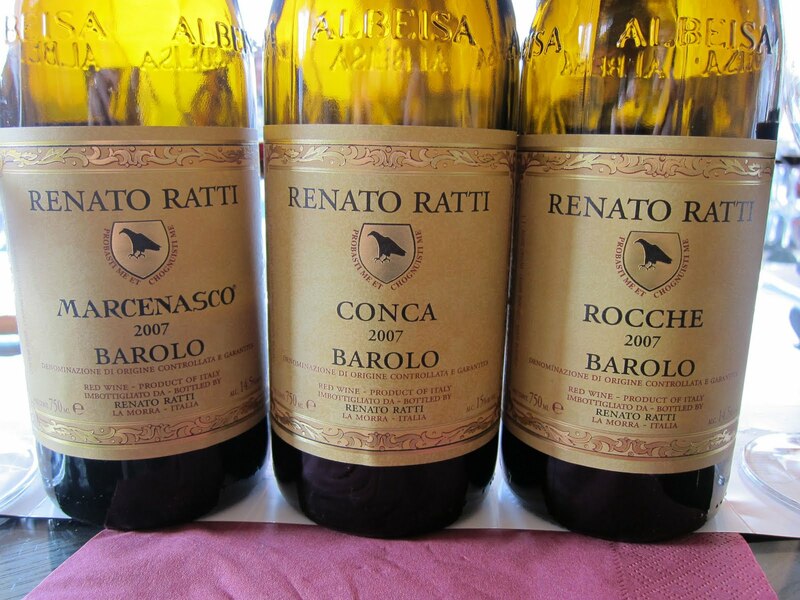 The success of Renato Ratti's single-vineyard Barolos meant everybody wanted to do one; grape sources dried up in the '90s. With the money they inherited, Pietro and his brother went on a vineyard-buying spree. "Today we have about 100 acres," he says. "Once you start buying vineyards it's hard to stop." Pietro does some interesting things in the winery. He uses horizontal "roto tanks" with paddles inside to gently break up the cap of skins that form on the surface. The look more like big wine barrels resting on their side than fermentation tanks. Pietro also has an eye on ancient practices. The grapes are picked by hand with cotton gloves so as to not touch the skins, because the winery tries to use only natural yeast. He is not biodynamic, but he bottles only on the full moon, and tries to avoid taking any major steps on the new moon. 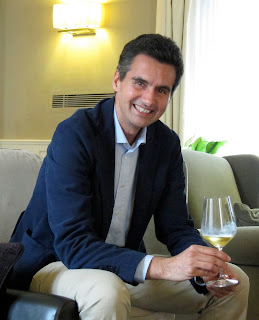 It's impossible to compare Pietro's Barolos to those of his father; his early years most likely weren't as good, but he's been at it now for more than 20 years himself, and he has really hit his stride. It's no coincidence that Pietro, like his father, is currently serving as president of the Barolo vintners' association. 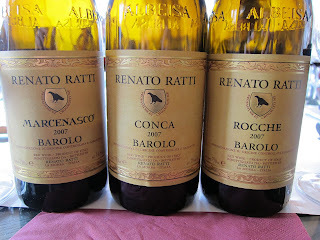 When the history of Barolo is told hundreds of years from now, nobody will remember that the Rattis used to be doctors. A riper vintage leads to an already quite evolved nose: complex and pretty, with dried plum, sun-dried tomatoes, and plenty of dried flowers. Lighter bodied than the '07, and it doesn't seem tannic at first, but you notice the tannins building up on your tongue like sludge on a river delta. I could keep smelling this, but it's not ready to drink yet. I loved the Marcenasco from this vintage but not the single-vineyard Rocche. I think it's bretty, and 6 tasters disagreed with me, so maybe I'm crazy. But if it's not brett, there's something on the nose that smells like dirt and dominates the dried plums that the other vintages show. The palate doesn't have such a problem: it has red plum fruit and tannins. But I can't get past a nose I don't like. Drinking this feels like robbing the cradle: it's lovely on the nose, but the tannins could use at least 5 years and maybe 10. What you get right now are crushed red plum flavors with some sun-dried tomato. Let it gather some dust in your cellar. This barrel-fermented 100% Sauvignon Blanc wine is a surprise from the Barolo region, where Cortese is the usual grape. Pietro Ratti says, "I bought Cortese for a couple vintages from a neighbor, but we didn't get interesting results. So we decided to plant some Sauvignon. It's more interesting." Agreed. The wine spend a year on its lees, and while you can tell it's barrel-fermented from the spreading mouthfeel, you would never guess that 50% of the barrels are new. 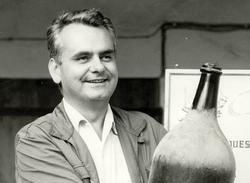 "In the beginning I did just stainless steel tanks," Pietro said. "But it wasn't interesting enough. It's better to do the fermentation in barrels just to get other flavors." Notice how often he says "interesting"? And it is -- an excellent blend of crisp entry and broad finish, with dried citrus fruits and minerality and no noticeable herbaceousness. "I didn't put Sauvignon on the label because it doesn't taste like classic Sauvignon," Pietro says. "It's more Piemonte."